By Emily. 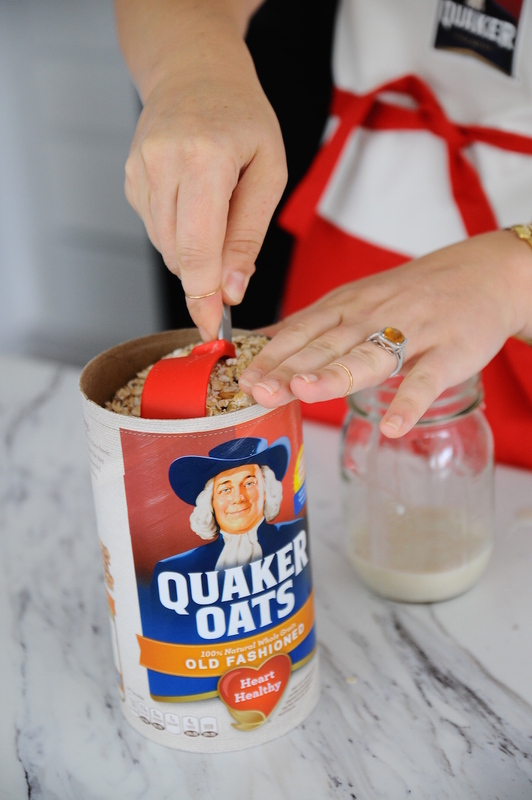 This post is sponsored by The Quaker Oats Company, but all opinions are my own. I am now to the stage of pregnancy where sleep is futile. So I usually wake up like a zombie and am scrambling to get myself together on top of trying to get the kids ready for school. Hayes actually had to have a heart to heart with me about wearing pants and shoes to the bus drop off. Ha! I turned to overnight oats because I wake up starving and rarely have time to get a satisfying morning meal for myself! 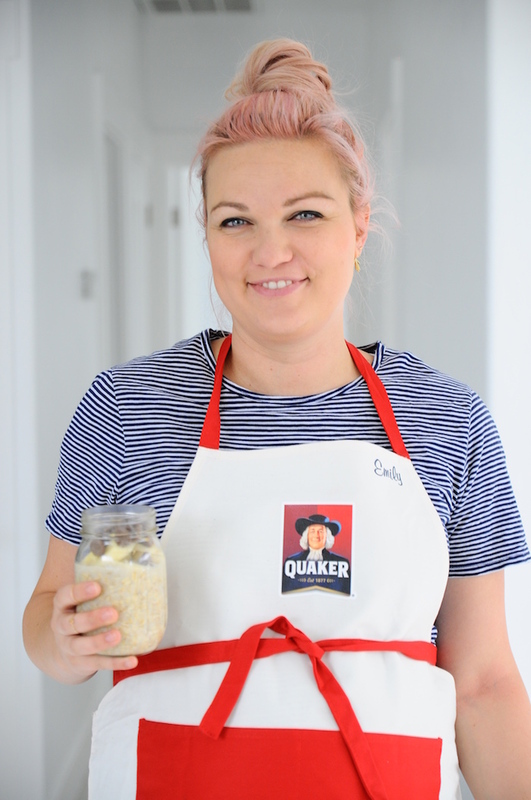 Overnight Oats are hugely popular online, but for those of you who haven’t tried it (some of us included!) here’s a quick summary. 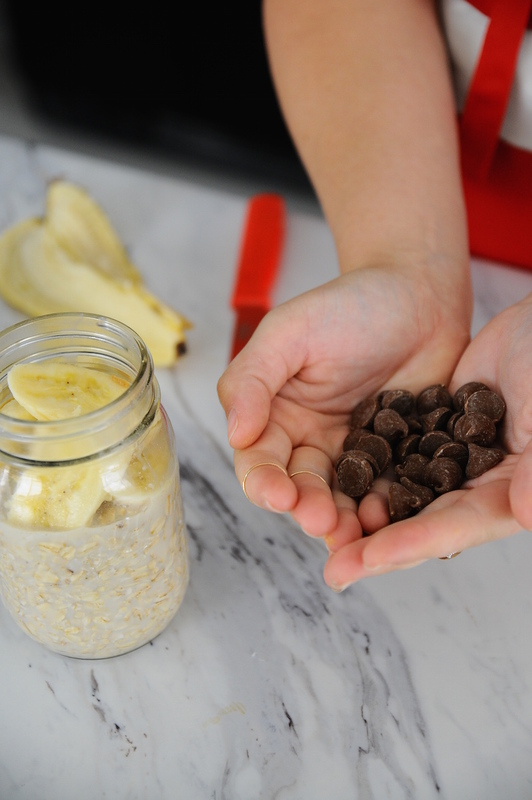 Stir together the oats, almond milk, and chia seeds in a jar (with lid). Layer on peanut butter and banana, secure jar lid and let soak overnight. In the morning, remove the lid and garnish with chocolate chips. Enjoy! Want it to be warm and spicy? 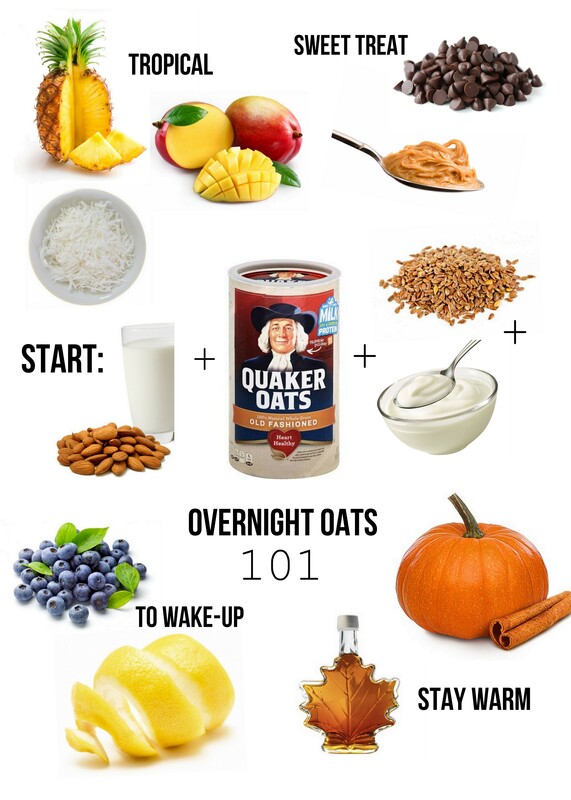 Try a pumpkin spice blend in your yogurt, maple syrup and pecans. Want something to wake you up? How about a lemon yogurt, blueberries and lemon zest combo? Need to feel like you’re on vacation? Add mangoes, pineapple chunks, dust with coconut shavings. *Disclosure! 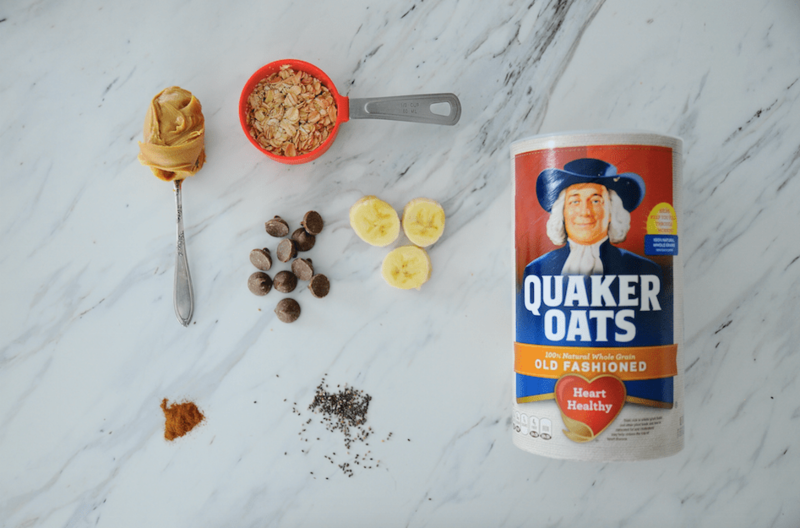 We are working with The Quaker Oats Company all year long to bring recipes and ideas using our favorite Quaker products! 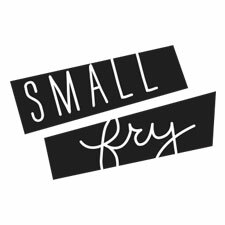 With 140 years of bringing us kitchen staples, we’re excited to work with such a long-standing favorite.